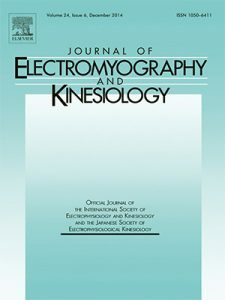 The aim of this study was to compare measurement methods of tissue stiffness using ultrasound shear wave elastography (SWE) and superficial mechanical deformation (MyotonPRO) in the infraspinatus, erector spinae, and gastrocnemius muscles. Thirty healthy volunteers were assessed during rest, 40% and 80% maximum voluntary isometric contraction (MVIC). Correlation of the two methods in the three muscle regions was significant (r=0.23-0.71,p<0.05), and strongest in the gastrocnemius. MyotonPRO reliability was excellent (ICC>0.93), and demonstrated ability to discriminate between the three levels of muscle contraction. SWE demonstrated good reliability in the resting condition (ICC>0.88), but lower during the 2 MVIC conditions. The utility of SWE during isometric contraction may be limited due to the inability to discriminate between 40% and 80% MVIC. In summary, contracted muscular conditions create challenges to measurement of stiffness but could serve as a relevant biomarker for health monitoring. (Chuang et al., 2013; Andonian et al., 2015 ; Agyapong-Badu et al., 2016) Measures of stiffness may enhance understanding of the musculoskeletal impairment at the tissue level. Clinically the measurement of stiffness could provide a variable to track rehabilitation treatment effectiveness in the short and long term. MyotonPRO may represent a reliable and valid approach to clinical measurement regionally across muscle contraction conditions.